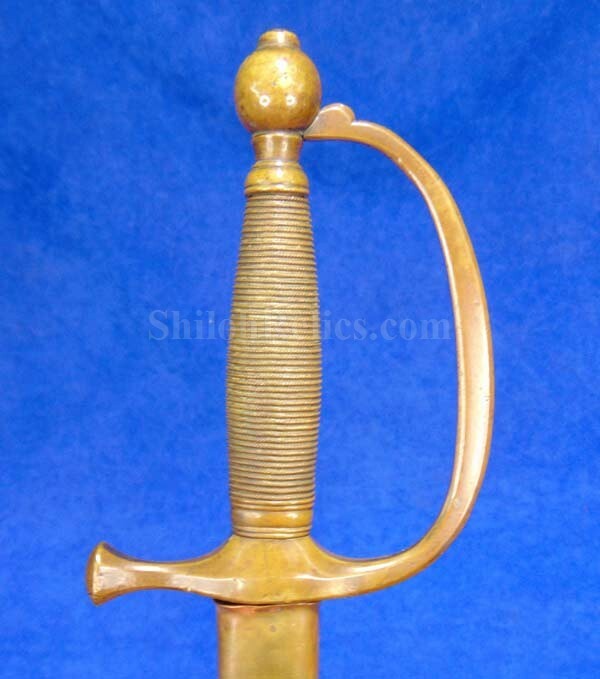 Scarce 1853 Dated Musician's Sword by Ames of Chicopee, Mass. 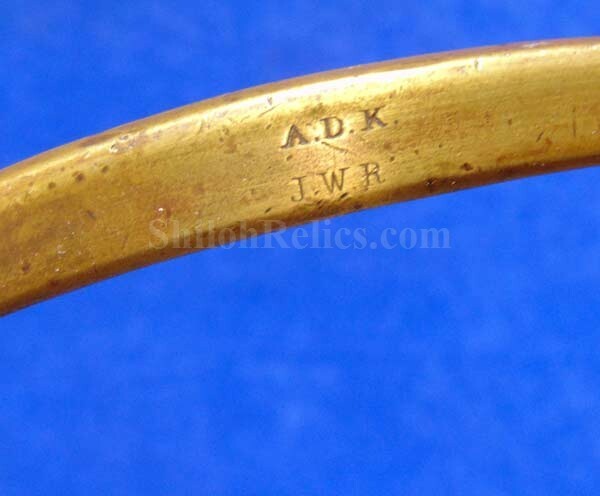 This is a nice original musician’s pattern sword from the Civil War. 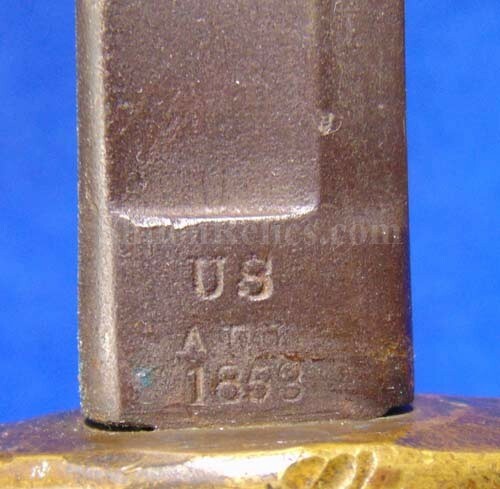 On the base of the blade is the date of "1853” as well as the "US" mark and the inspector initials of "A.D.K. ".These are the initals of A.D. King who apprived the sword for military use by the Ordnance Department. 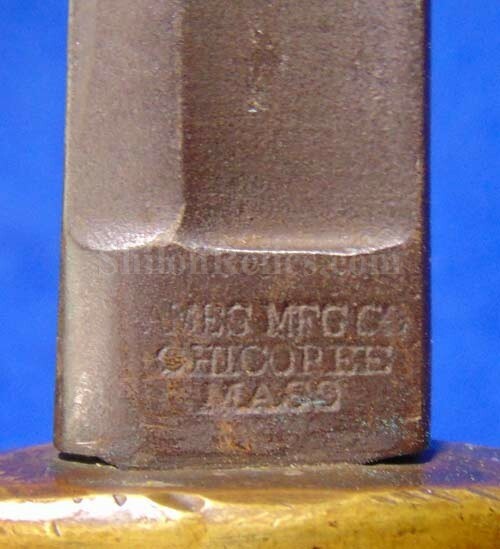 This one is scarce because of the manufacture date. According to our friend John Tillmann's book on Civil War Army swords, there were only 400 of these swords ordered in 1853. This would make this one part of that delivery. 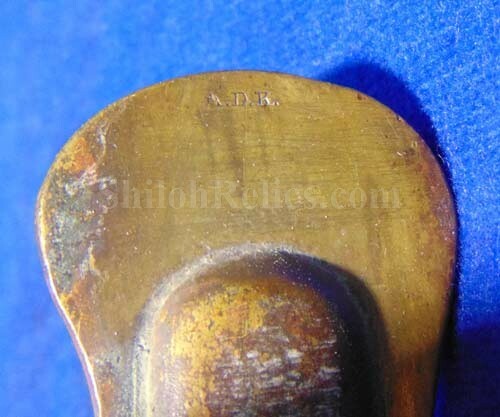 On the back of the blade is the straight line style maker’s mark of the famous "AMES MFG. CO. CHICOPEE, MASS”. 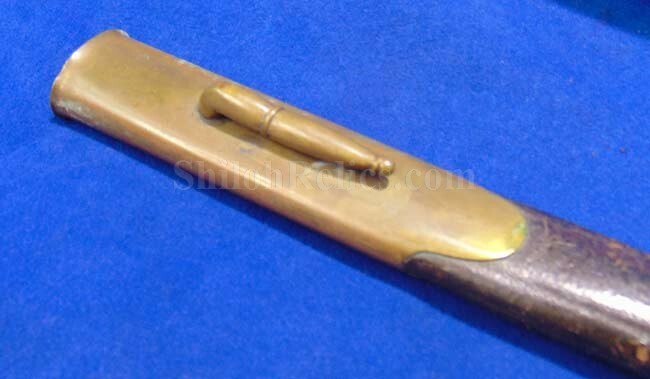 Ames was the premiere maker of edged weapons for the Union army during the Civil War and the decades before. The blade has a fine looking untouched color with a pretty dark look. 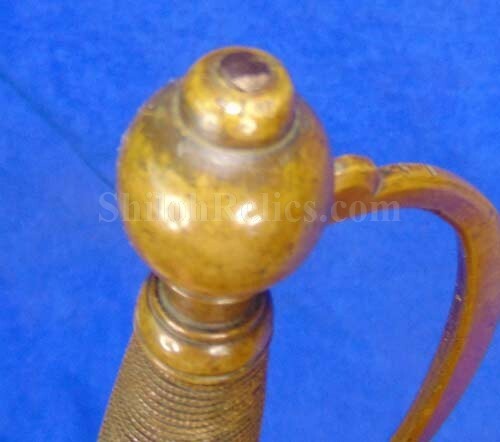 The guard, grip and pommel cap are present with an attractive golden tone to the brass. 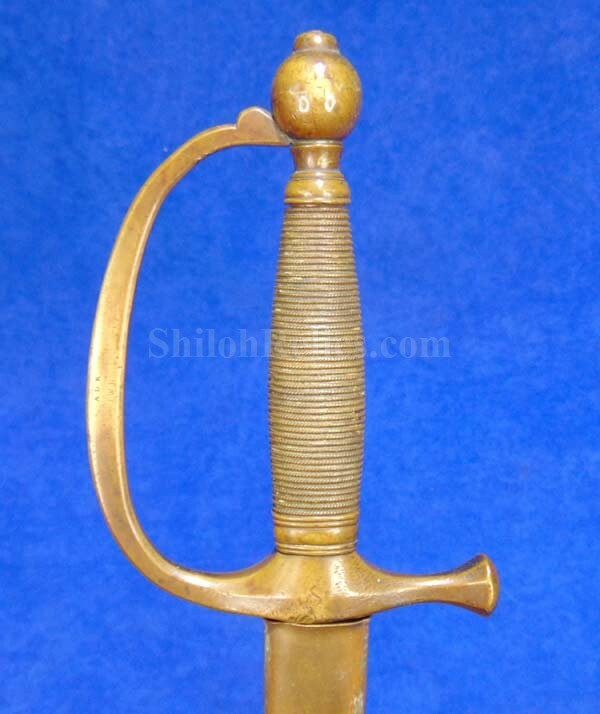 The scabbard is made of leather and brass and displays well but has the one repair as you see in the images. This is your chance at a good looking Civil War musician’s sword with a scarce pre-Civil War production date.